SAN JOSE, Jul 29 2015 (IPS) - Central America, a place of abundant wind and sunshine, is still chained to thermal power and large-scale hydroelectricity and has failed to include local communities in clean, environmentally-friendly and less invasive projects. Although the region has been trying for years to increase the proportion of renewables in its energy mix, an average of 36 percent of its electricity is produced by enormous plants fired by coal and other fossil fuels. Decision-makers in Central America continue to disregard the region’s enormous potential in wind and solar power, which could reduce carbon emissions while empowering vulnerable communities in remote areas by providing them with electricity. “In general terms, the Central American region is not taking advantage of its potential, principally because investment channels have not been chosen,” Javier Mejía, the renewable energies official at the non-governmental Humboldt Centre in Nicaragua, told IPS. 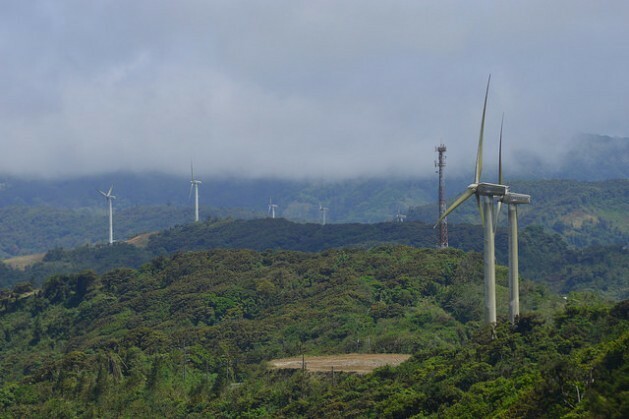 The region uses only around one percent of its wind power potential, according to an analysis of the upcoming Estado de la Región report, produced by the Consejo Nacional de Rectores (CONARE), which groups Costa Rica’s four public universities. 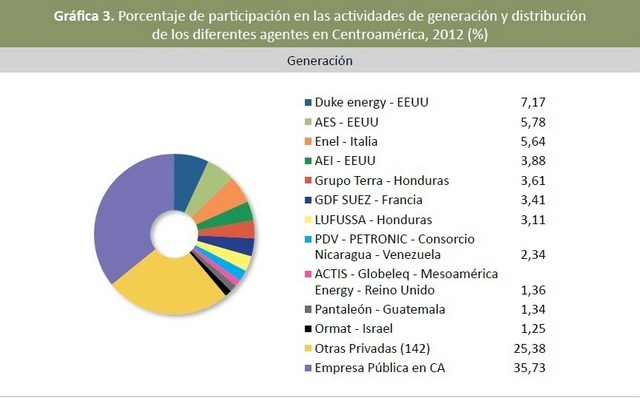 A group of journalists had access to the energy results of the Estado de la Región report, which analyses sustainable human development in Central America and whose next edition will come out in 2016. The report says the countries of this region have two to three times more annual solar radiation than Germany, the global leader in solar power. And it adds that 85 percent of this region’s geothermal power potential – much of it difficult to access – is unexplored. The Estado de la Región report cites statistics from Costa Rica, El Salvador, Guatemala, Honduras, Nicaragua and Panama, which have a combined population of 45 million people. For decades, the countries of Central America have depended for electricity on rivers and large-scale fossil fuel power stations, where a majority of the investment comes from private corporations. 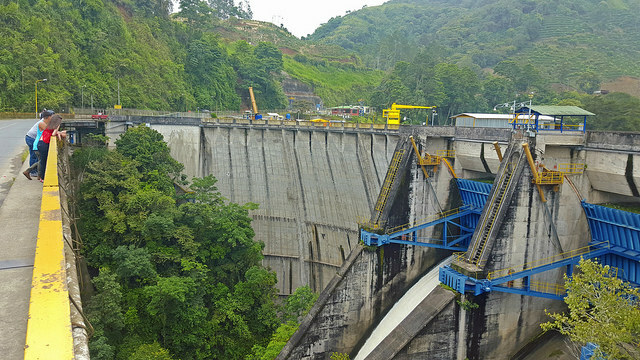 In 2014, hydropower plants produced 45 percent of the region’s electricity and fossil fuels 36 percent, according to the Economic Commission for Latin America and the Caribbean (ECLAC). A 2014 study by the non-governmental Observatory of Multinationals in Latin America (OMAL) found that 11 private companies – only three of them Central American – control 40 percent of power generation in Central America, compared to the 35.7 percent participation by state enterprises. The proportion of clean energy in the region varies from country to country. While Costa Rica hopes to end the year with 97 percent of its energy coming from renewable sources, half of the power supply of Nicaragua and Honduras still comes from coal and other fossil fuels. Panama’s dependence on fossil fuels grew from 2000 to 2013, while El Salvador has been tapping into its abundant geothermal power. 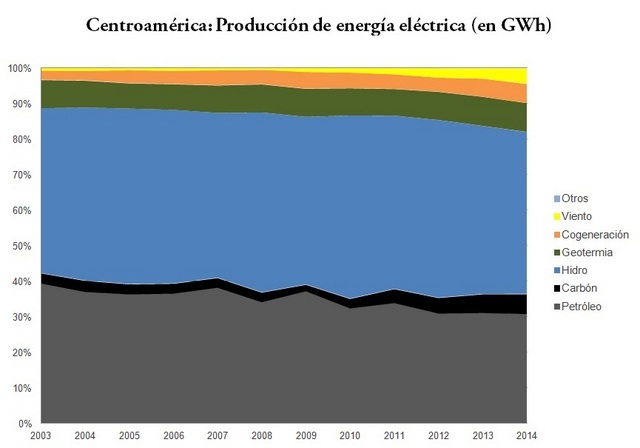 Guatemala, for its part, has the highest dependence on coal, the dirtiest source of energy. The intergovernmental Central American Integration System (SICA) controls the energy market in the region and in theory operates as a negotiating bloc in the climate change summits. But at decisive moments, each country votes on its own. At a June meeting in Antigua, the leaders of Central America, along with the presidents of Mexico and Colombia, agreed to adopt a joint position at the 21st United Nations Climate Change Conference to be held Nov. 30 to Dec. 11 in Paris. Central America’s greenhouse gas emissions only make up 0.8 percent of the global total. Nevertheless, there is an urgent need to move towards a cleaner energy mix. The latest report by the Global Commission on the Economy and Climate identified 10 areas of opportunity that would provide between 59 and 96 percent of the emissions reductions needed by 2030 to keep global warming under 2°C while delivering significant economic benefits. For years scientists have agreed that a 2°C increase in global temperatures is the safe limit above which climate change becomes irreversible. “Even though we are not the source of the main greenhouse gas emissions, there is a factor of vulnerability in terms of future supplies,” Alberto Mora, the lead author of the Estado de la Región report, told IPS. The researcher also warned about the negative effects of a dirty energy mix on the region’s economies. From 2000 to 2013, oil expenditure rose from 3.5 to 8.5 percent of the region’s GDP. The study also found that Central America only uses 15 percent of its geothermal potential – the cleanest, most stable source of energy, although much of it is found in protected natural areas. But Mora pointed out that the investment in infrastructure needed to tap into the energy that lies deep underground is more costly and the technology is more invasive than investment in solar and wind energy. The same is true of hydroelectricity. “That should motivate us to diversify the energy mix and seek renewable local sources,” said Mora. There are steps that the region is taking to develop renewable energies, said Sonia Wheelock, climate and energy advocacy officer in Nicaragua for Hivos, the Dutch organisation for development. “There has been significant progress in the past 20 years, more accentuated in the last decade, towards renewable energies and principally towards the non-traditional sources,” Wheelock told IPS. Geothermal and wind energy together account for 12 percent of the regional total, compared to eight percent a decade ago. This has helped to slowly close the gap between remote villages and more widely electrified urban areas. In the absence of clear public policies, the generation of renewable energies at a community level has been led by the Central American Alliance for Energy Sustainability (ACCESE), a civil society group that promotes the use of small-scale renewable energies and energy efficiency. “Renewable energies resolve the problem of the fossil fuel systems based on imported, polluting raw materials while at the same time facilitating access to energy for people who don’t have electric power,” ACCESE coordinator Melina Campos told IPS. She said renewable energies have both an environmental and a human element. “This, I believe, is the heart of the matter,” she stated. Considering how many years the Central American area has been exploited and who was/is the main culprit, it’s not surprising what this story says. It take money to implement the change over to renewable energy sources, but that isn’t available for these countries. The technology is available, but considering who owns/runs the available sources, it doesn’t look like this will change anytime soon.